Spiceburg was set up in 2009 in Greenside as the first south Indian restaurant in Johannesburg then has steadily built up a reputation as a restaurant that serves authentic southern and northern Indian cuisine along with lot of vegan and a few standard "Indian" dishes that the average punter desires Spiceburg as the name says spicing up Joburg, is an Indian restaurant offering a culinary voyage of India in an authentic Indianl style. At Spiceburg you can savour a contemporary dining experience that's fresh and rich with the traditional flavours of India. 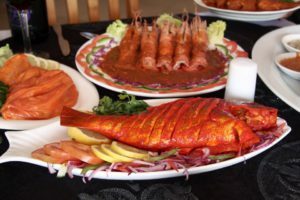 Our cuisine extends from the temperate flavours of Kashmir in the North to piquant offerings of Kerala in the South, the delicately spiced seafood from the East to the rich flavours of the Punjab. The friendly, hospitable service with style will leave you with ultimate satisfaction. Spiceburg always live up to its name serving you the best Indian food outside India. Web Design by Blukam Digital Partner | .